Angelika at The Flying Apple started this meme where you post the meal you would serve if you were inviting fellow bloggers to dinner. I've been tagged by Bruno over at Zinfully Delicious . Back in June I did invite a couple of food bloggers to lunch. Elise was in Auckland on a business trip and came bearing bottles of Californian wine. Celine joined us for the day and provided the dessert. It was a week after my final chemo infusion and being a little tired I served a hunting and gathering meal. That's where you (or in my case my husband) go out hunting and gathering bits and pieces to put a meal together. I did make a kumara soup because soup is the easiest thing in the world to make. Five months have passed, I've finished chemo and my energy levels are much improved. I'm back into cooking with the enthusiasm that comes with suddenly rediscovering your taste buds after 7 months. My invite to dinner extends to all food and wine bloggers and several bloggers I read who don't always blog about food. When you arrive I will serve a flute of my favourite champagne. At some point I'll probably tell you about the day I spent as guests of this champagne house. To nibble on will be a plate of crostini of New Zealand South Island smoked salmon with sour cream. We'll then move to the table and on it I will place a large platter of roast New Zealand lamb and a second platter of roasted vegetables. The lamb will have been deboned, massaged with olive oil, sprinkled with Maldon salt and placed on a bed of rosemary then roasted slowly in a low oven for a couple of hours. I will have roasted the vegetables earlier in the day and they will be served at room temperature. To accompany this part of the meal will be two dressings. One made with pomegranate molasses, olive oil, garlic and salt and pepper and a second of natural unsweetened yogurt with a bunch of chopped flat leaf parsley mixed through. The two together make for a great taste sensation with the lamb and vegetables. There will be more than enough for you to have seconds if you wish. You will love the wine. 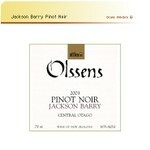 It's my favourite pinot noir from Central Otago. Now for the cheese. There will only be one. A whole wheel of Kikorangi Blue. Not one of those stingy pieces wrapped in plastic they sell at the supermarket. This will come with ciabatta bread from Pandora's and a selection of wonderful Rutherford and Meyer fruit pastes. Hopefully it will be summer, then I can serve summer fruits. On a large white platter I will pile a couple of punnets of strawberries, raspberries, blackberries and blueberries. Over this will be poured a sauce of warm sieved apricot jam softened with a splosh of port. Not too much, just enough to make the fruit glisten. I will dust the fruit with icing sugar before bringing it to the table along with a jug of pouring cream. Mascarpone would be nice also so maybe I'd serve both. I'm rather a fan of Ngatarawa Glazebrook Noble Harvest Riesling and I'm sure you will be too after today. About now we will move to the table by the pool and we will chat while Bryan makes coffee, or herb tea if you prefer. Chocolate will be too heavy after this meal and I rather think the Ginger Madeleines would be just perfect. Maybe you fancy a liqueur with coffee. I always have a bottle of Cuvée de Centenaire from Grand Marnier in the cupboard. No doubt I'll tell you about the wonderful meals I've been treated to in Paris by my friends at Grand Marnier. If you aren't staying with us overnight, and I hope you are, you may want to book a taxi to get back to your hotel. I now get to tag other food bloggers and I'm picking one old favourite and a couple of new guys . Emma at The Laughing Gastronome. Tim at Take 3 Eggs .